In SSRS 2008, reports could be exported to excel other than this there was no control on how to name the sheets in excel which could provide for better documentation. 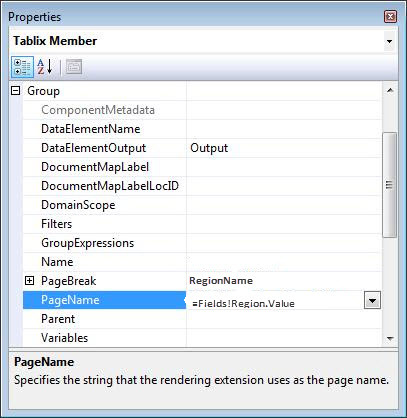 In the SQL Server 2008 R2/SSRS there is an option to name the sheets in Excel. This provides for better description of the data in the sheets and allows one to break up the data across different sheets. Let us say that the SSRS report displayed sales numbers based on different regions. 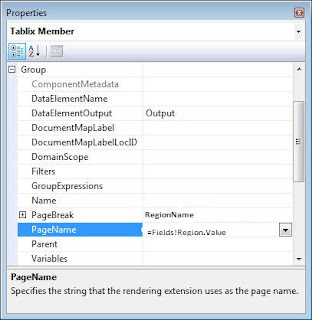 The report has a row group called regions, there is an attribute called PageName for the group that can be set. Once this is set when the report is exported to excel, the sheets have the region name, each sheet will be named based on the distinct region value. I have a probleme my sheet names replicate the first record found. Could you explain your problem, provide some more detail. Are you using SSRS 2008?